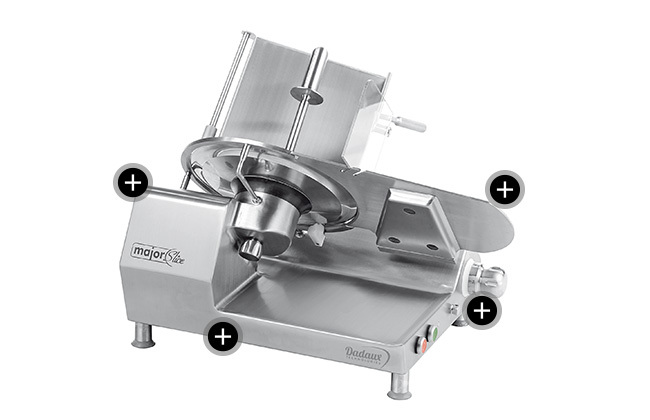 Our “Major Slice” ham slicers are unique in the market. It is strong and accurate, facilitating a perfect cut through its reliable operation. Its entirely stainless steel and open design ensure ease of cleaning and complete hygiene.